How often do four wise and amazingly talented women come together to discuss their acting careers and to reminisce on old times? More often than we knew, apparently, but for one night only they will allow us to sit in and listen, which could not possibly be more rare. Four friends with ties that go back 50 years and an incredible amount of collective experience have invited filmmakers to their party, and the audience is the lucky plus one. Roger Mitchell may commonly direct fairly dull pictures (Notting Hill, Changing Lanes, Venus, Hyde Park on Hudson, My Cousin Rachel), but he knew how to get to the right place at the right time here, and we are just fortunate to have come along for the ride. 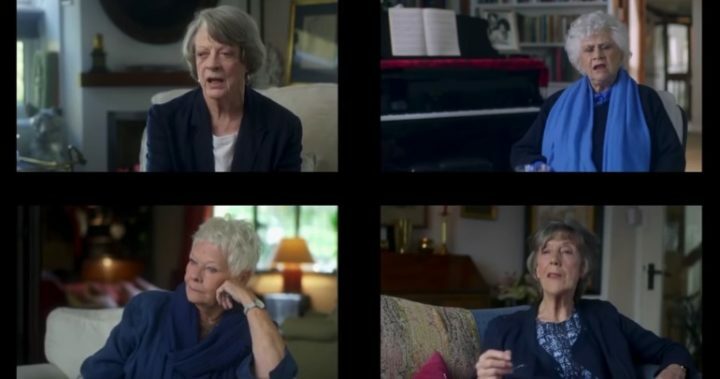 Maggie Smith, Judy Dench, Eileen Atkins, and Joan Plowright have been friends and colleagues for years, tied together by British theatre and cinema, their careers intertwining often under the same directors, within the same companies, and always as sisters in art. 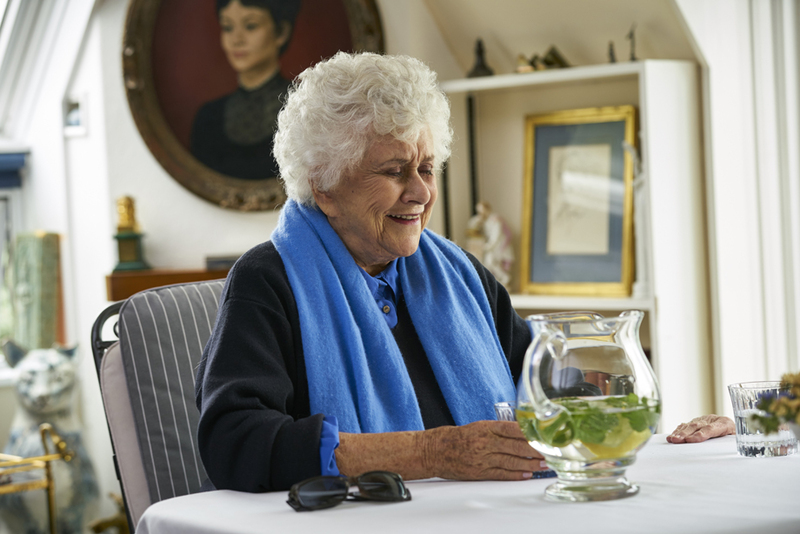 They come together at Plowright’s cottage home, which she shared with her husband, the great Lawrence Olivier, to discuss old times, new aging, and the memories that are getting harder and harder to hold on to. In this documentary, we get to sit down next to them as they discuss their experiences, their inside jokes, and the woes of old bones, a joyful occasion among friends where the cameras melt into the backdrop. These women are not only accomplished actors, but have all received title from the English throne, Dames all, which only adds to their mystique and prowess, and places one more award upon their illustrious shelves. 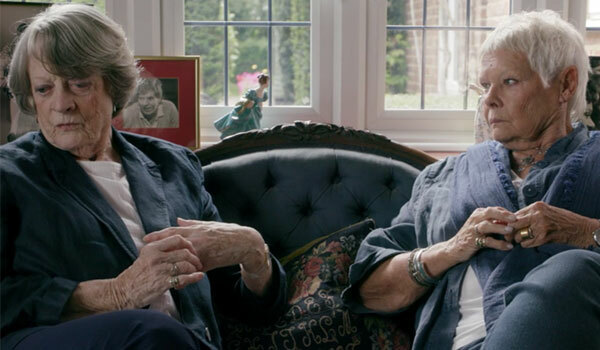 American audiences will know the work of Smith and Dench more so than Atkins and Plowright, for the former pair are frequently in Hollywood pictures, while the latter pair are much less famous here. But in Britain, across the theatre circuit especially, these women made their marks in a colossal way, and now come together to let us in on some of the secrets of their success. The film feels less like a documentary/esposé and more like a talk at lunch, turning into a long behind-the-scenes featurette, or one giant extra, while we just sit back and listen. 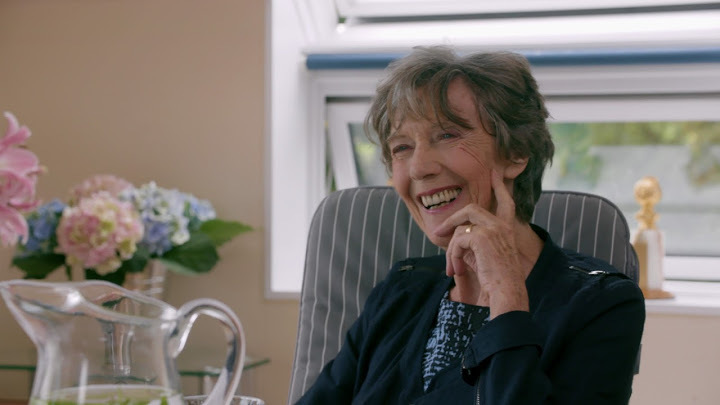 In that way, it can become a little sleepy, and feels a little unedited, because Maggie Smith simply comments on the camera man, or the ladies just remain silent for a brief time, or the interviewer prompts them on what to talk about next. It’s an extremely relaxed venue and movie, and therefor not for everyone, as not all audiences will want to sit even for a relative short run time and just listen to four ladies chat. But for those interested in these actresses, there is insight and comedy enough to catch your attention, and to hold you in its spell. Video – With an aspect ratio of 1.85:1 Widescreen, the video quality of the DVD is on par with other documentaries; that is to say, unimportant. 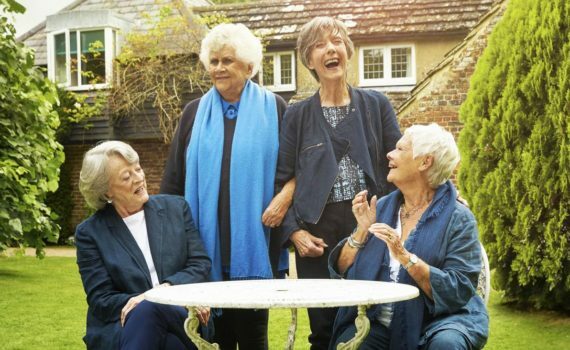 All the ladies wear blue shades, and the cottage and garden that they interview in is quite lovely, so the film is easy to watch, just not visually impressive. Audio – The disc was done in English, with an option of English SDH or Spanish subtitles. That’s it for the audio, and much of the film is either conversations among the artists or clips of their careers, so the sound is basically as important as the picture. Recommended. If one long bonus feature of four legends talking among themselves sounds like a nice evening spent in from of the telly to you, than you are in for a treat. If not, this film could be complete torture. I fall in the middle, a fan who has interest but not an aficionado, so I was at times elated and at times bored, pulled between the humor of the moment and a relatively unpolished documentary, when what we are trained to expect from the style is much more emotion and perhaps a call to action. This film is basically just pleasant, which is fine by me, and should be fine with anyone who would naturally seek it out. The video, audio, and extras aren’t anything to write home about, but the movie itself has many bright moments, and should be an enjoyable gem for many.